'A man is like a novel: until the very last page you don't know how it will end. Otherwise it wouldn't be worth reading.' - Yevgeny Zamyatin, We. 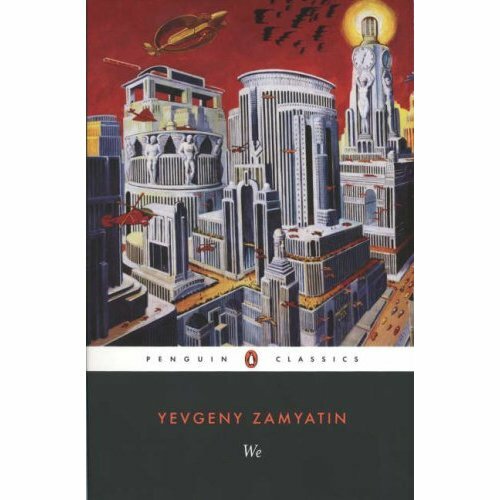 I read the book We, by Russian author Yevgeny Zamyatin, when I was sixteen, as wider reading for AS level English Lit, for which my coursework was about dystopian fiction. The novel was the main inspiration for George Orwell's very well-known, 1984. It depicts a totalitarian society in which everyone is under constant watch and there is little hope for escape. The idea is that everything is meant to be utopian and perfect, but in practice it's much the opposite. People are known by letters and numbers rather than names and One State is almost entirely constructed from glass. The whole book makes for an interesting read, with the end conclusion being that there will never be a final revolution, much as there is no highest number. Today I wanted to discuss the line of the book that stood out to me the most, which is about people. It's about how you'll never really know everything, but rather discover more and more as time goes by, just as you do when reading a novel. And I think it's so interesting to think about, because if we knew all about the people we meet as soon as we met them, then you wouldn't get the pleasure of learning new things about them and uncovering details that they themselves might not have even known. If we knew exactly what was to happen in a book, to the very end, then we probably wouldn't bother reading, because what would be the point? However, I want to point out that people are often hard to read - it's like when you're stuck in the first person narrative of one character, and all you want to do is know more about another character, but because the speaker doesn't know about them, you don't get to know. It's like the block of not knowing someone you see all the time, and wondering what they do, and wondering what will become of them. Sometimes you have to take matters into your own hands and open the book, by starting a conversation with someone you know nothing about. And whatever there is written down, it will be worth reading.